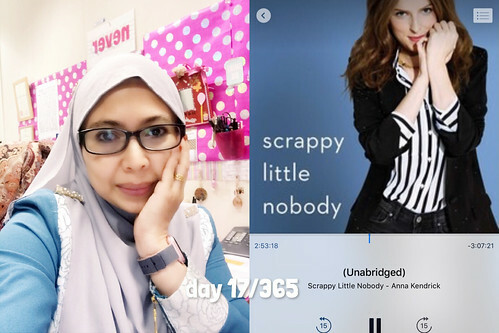 I am currently reading Scrappy Little Nobody by Anna Kendrick and listening to the audio book at the same time. I have no idea how funny this girl is. She might not be my favorite character in Twilight but she definitely leave enough mark that I recognised her in any other movies like What to Expect When you are expecting and Pitch Perfect. I am enjoying it so far. The first thing that grabbed my attention was all the lists that she loves to make and I can totally relate to that. I am not really a fan of Anna but I love to read. From what I am read and listen to so far, she has managed to pull me into her world. And her reading voice is amazing.